Everything I wanted Fusion to be, it is. It’s ready for ProfitMaster customers to switch. Rocky Mountain Diesel of Cranbrook, British Columbia understands the value of trusted, long-term partnerships. Since 1981, they have been committed to serving their local area and keeping their clients out on the road so that they can continue to make a living. Their business is based on helping others become more successful through quick, reliable work that is done right the first time. They’ve also seen the value in building a lasting partnership with Karmak. For one, they used Karmak legacy products, Legend and ProfitMaster, to run their business profitably for a number of years. More recently, they invested in a consulting engagement with their Account Director Scooby Barbre centered on increasing efficiency around the shop and implementing smarter quoting process. Now, their trust and faith in Karmak as a true business partner can be seen through their commitment to moving forward with Karmak Fusion. Rocky Mountain Diesel decided to make the switch despite some hesitation stemming from their migration to their previous system, ProfitMaster. “Despite the scar tissue, we saw that Fusion was ready for us,” said Chris Thom, President of Rocky Mountain Diesel. Quickly, it became apparent that this migration was going to be a completely different story. “I knew within the first couple of phone calls with project management that this time was going to be different. Communication made all the difference,” he said. on Fusion keeps everything moving forward and on time. 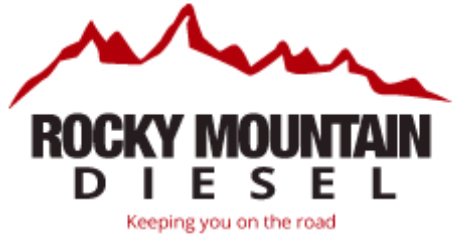 For Rocky Mountain Diesel, their actual migration to Fusion was seamless, and their prior experience with ProfitMaster and its similarities to Fusion even played a big role. “The process of moving to Fusion was smooth. Having our service operation on ProfitMaster to begin with made the switch pretty easy,” said Parts Manager Trevor Qually. Furthermore, Thom saw the move to Fusion as an opportunity to start fresh. “Conversion to Fusion was a great opportunity for us to clean up our system and take time to dig deeper into metrics we had been tracking,” he said. The true metric of how well a migration to a new business management system went is how easily the business is able to transition back to completing their daily operations with the new system. It is one thing to feel comfortable with the new system when trainers are on-site in the business; it is quite another when you have to go back to business as usual. But this was no problem for Rocky Mountain Diesel. “The training we got from Karmak during our move to Fusion was so comprehensive that our employees hit the ground running on day one,” said Thom. Qually points to the hands-on work that he and the rest of the team was able to put in before they even started the process. During the migration process, Karmak provides the users with a “sandbox” system where they can play with the system and mimic daily tasks, using their own data. “The test system in which we were allowed to practice was a great help,” said Qually. After several months on Fusion, Rocky Mountain Diesel has already enjoyed a number of wins. “Access to real-time data is a huge plus. If you want a piece of information in Fusion, you just point and click,” said Thom. The simplicity of Fusion, making processes easier to understand and complete, has also been a plus. “Beforehand, when it came to backorders, once you backordered a part, that order was gone until the part came in. Sometimes, if there was more than one part on the backorder, we would have two different invoices, one for the original invoice and one picking list. Now, we can just add more backorder parts to an existing backorder,” Qually said. Success for Rocky Mountain Diesel on Fusion can only grow from here, not only because of the depth of information within it, but also because of the ability of others to pick up the system quickly. “Working with familiar Windows screens, Fusion is easy to train on,” said Thom. With his business up and running successfully on Fusion with the help of Karmak and their processes, the faith in their long-standing relationship with Karmak had paid off yet again and Thom has no regrets. “Everything I wanted Fusion to be, it is. It’s ready for ProfitMaster customers to switch,” he said.